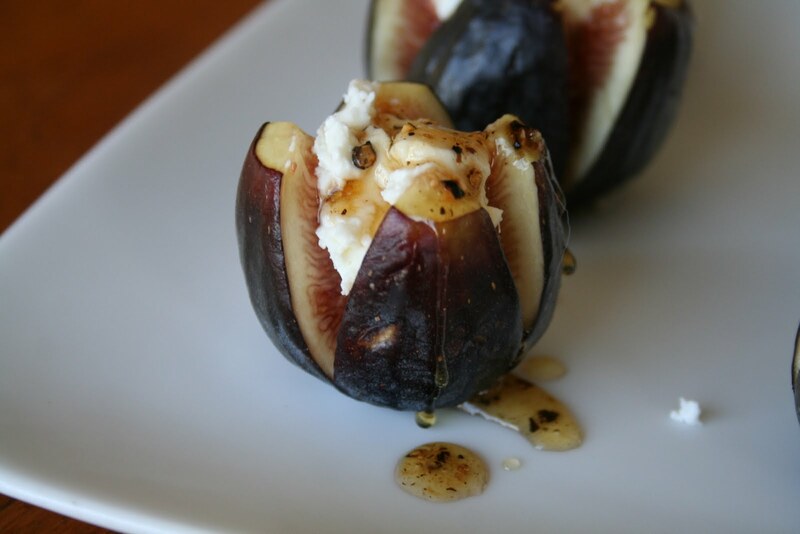 Figs are an immensely delicious, but extremely finicky fruit. Farmers must allow them to mature fully on the tree, so pretty much the only time you'll ever see them in a supermarket is in the form of a Newton. I've seen them a few times at Whole Foods this summer, but have been waiting patiently for them to come to the farmers market. Finally, my fig prayers were answered as they showed up at my local market. To celebrate, I made some fresh chevre and a tasty snack. If you're going to make goat cheese, you need to start a few days ahead. 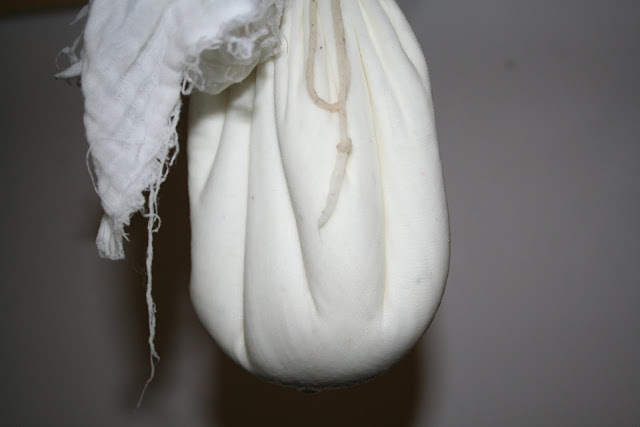 I recommend getting chevre cultures form the New England Cheesemaking Supply Company. Also, make sure that you can find local goat milk, otherwise, the cheese won't work. Because I'm just cooking for myself, I end up using either a 1/2 gallon or quart of milk. A quart will typically make as much as one of the logs that you find at the store. Heat milk to 86ºF. Add 1/2 packet of culture per 1/2 gallon of milk. Let rehydrate for 1-3 minutes. Let set for at least 12 hours. Drain in cheese cloth for 10 hours (or more). The longer you let it drain, the denser and tangier it becomes. 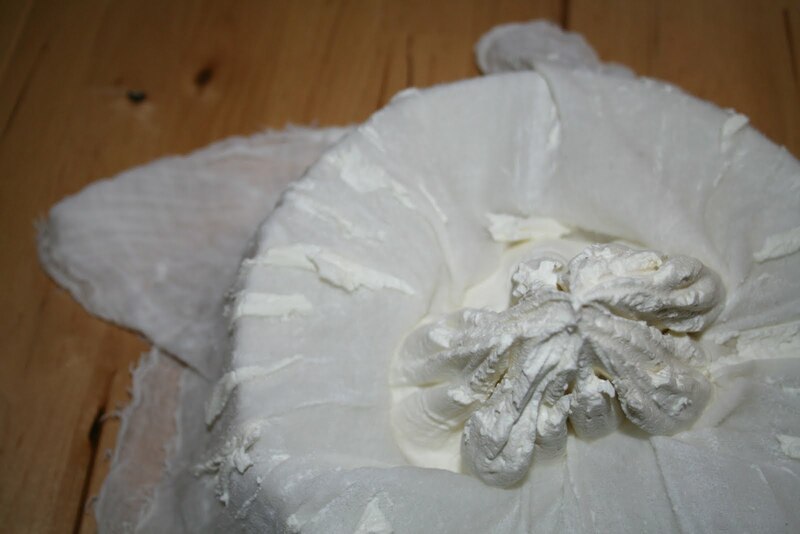 Once it is to the desired consistency, carefully scrape all the cheese from the cheese cloth and mix in some cheese salt (about a tablespoon). Slice the top off each fig. Then, starting from the top, slice almost in half, stopping about a 1/4 inch from the bottom. Turn a quarter turn and make another slice. 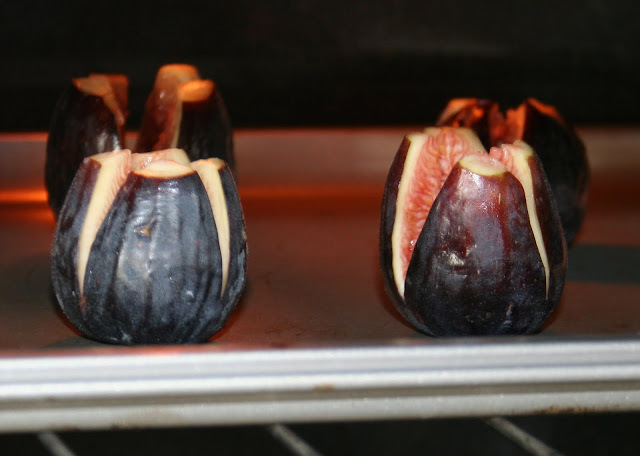 Push open the fig to expose the flesh and place on a baking dish. Broil for about 10 minutes. While the figs are cooking, put the honey and water in a sauce pan and heat over medium high flame. Cook till bubbly then take off heat and add salt and pepper to taste. 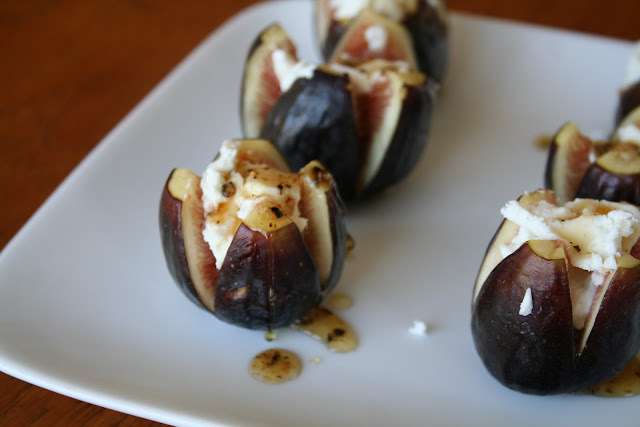 Take the figs out of the oven and plate. Put about a teaspoon of goat cheese in each and drizzle with the honey mixture. Wonderful. Try to stuff the cheese to organic dried date. We usually do it with blue cheese and a pecan on top, but I bet it will go well with goat cheese as well.